For the Children, from G. MacD. I love the way George MacDonald does a little back-door teaching by way of this poem. I left the language as he wrote it, though the content isn’t necessarily gender specific. 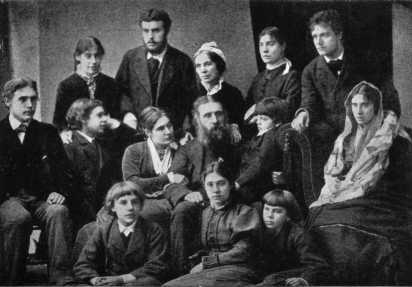 In the photo above, George is sitting in the center, with Louisa standing directly behind him. The man just behind the oldest daughter (on the right end) is, I think, her husband. Than watch a diamond shine. Than a gorgeous, dying rose. Than be sure that thou art great. Better the Well done, faithful slave! Than the air with shouting rent. We’re anticipating a visit from our daughter and son-in-law this coming week. I hope you enjoy Sabbath. I have a little Sabbath plan cooked up for myself. We’ll see how it works. Back to cleaning the house! Photo from http://www.georgemacdonald.info. For more about the children, click here.